Secondary equipment includes Bridgeport’s, drill presses, a fully automatic cutoff saw with a 10 inch bar capacity, surface grinder, vibratory deburring machine, Mig and Tig welding equipment and a paint booth. We can import dxf, dwg, STEP, IGES, jpg, pdf, and other file formats of your drawings for quoting and production purposes. 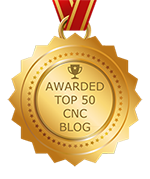 CNC Turning: 6 Mazak conversational CNC turning centers. CNC Milling: 6 CNC Fadal Milling machines. Bridgeport Mills: 4 milling machines. Roll Marking: (1) 4 Ton, (1) 12 Ton Schmidt Roll Marking Presses. 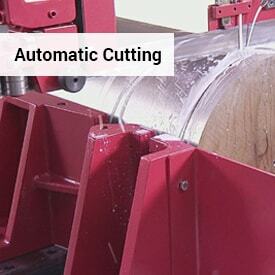 Sawing: 2 saws, 1 fully automatic cutoff saw with a 10 inch bar capacity. NexGen also provides horizontally integrated manufacturing of raw bar stock, and custom shapes in aluminum alloys and plastics as well as powder coating, liquid painting, and anodizing up to 25 foot lengths. Additional secondary services include heat treating, grinding, and plating.